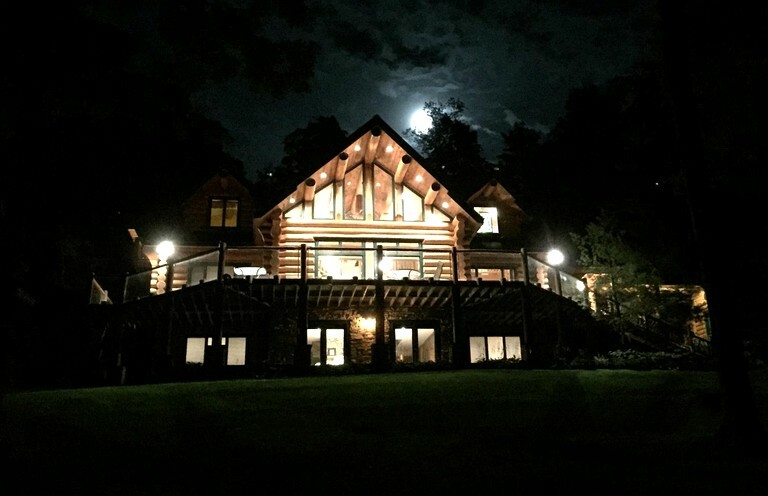 Set on Otsego Lake in Cooperstown, New York, this log cabin rental is the perfect place to getaway with a group of families or friends. 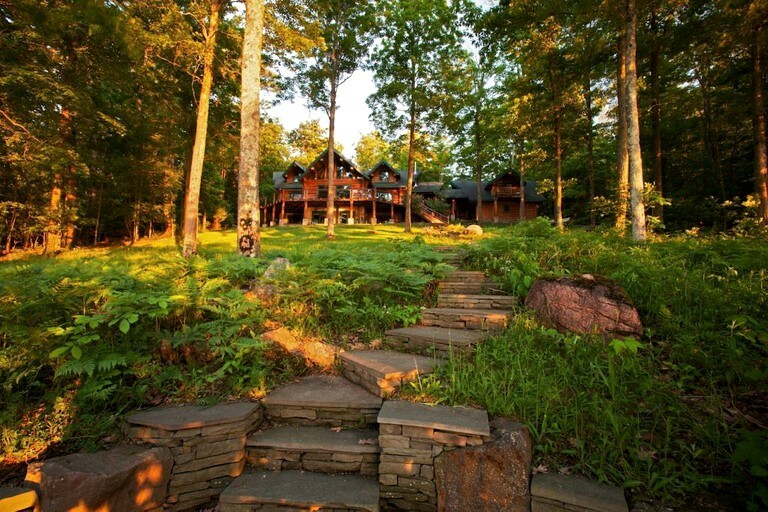 This cabin in the trees is nestled in the woods at the end of a one-quarter mile driveway; it is private, quiet and elegantly rustic. Guests can drive right to the front door under the huge porte cochere. 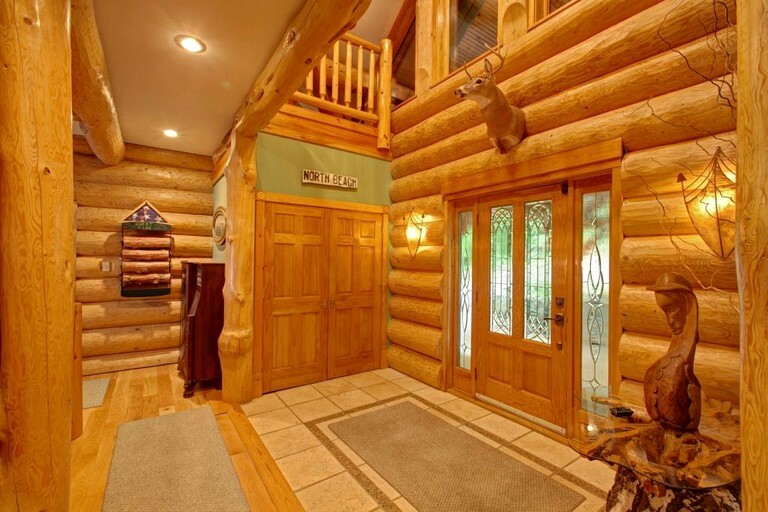 Opening the front door reveals a home constructed from massive, hand-peeled Douglas fir logs imported from British Columbia. 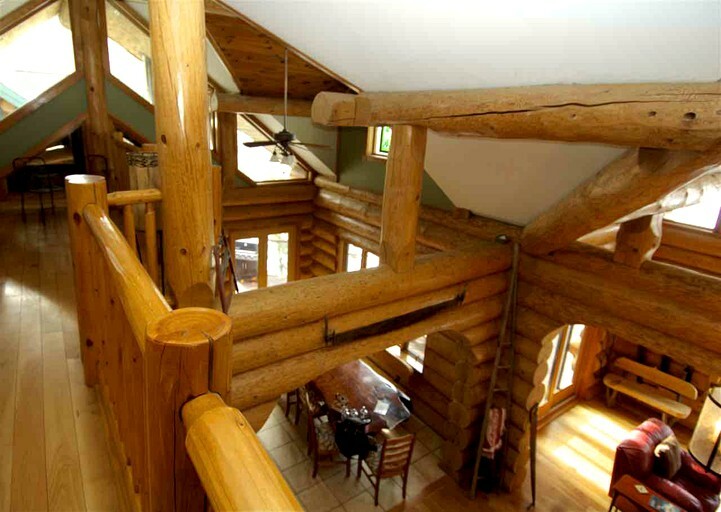 Cathedral ceilings throughout the home reveal the impressive rafters supporting the roof. 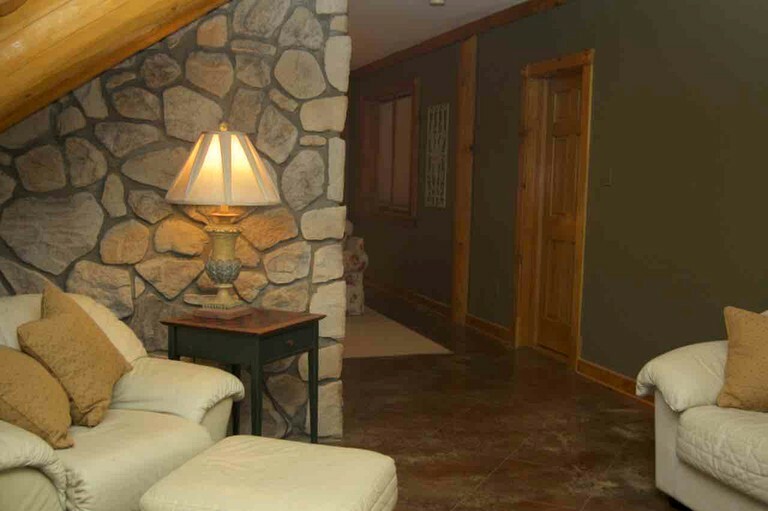 The main floor is well designed for family living and entertaining. 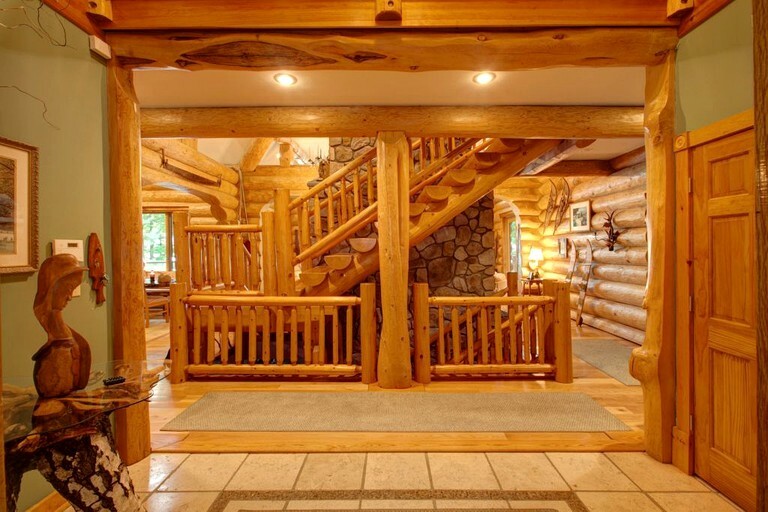 From the entry, past the handcrafted log stairs and around the three-story stone fireplace, is the Great Room. There is a wall of windows and flanking French doors, which frame spectacular lake views. 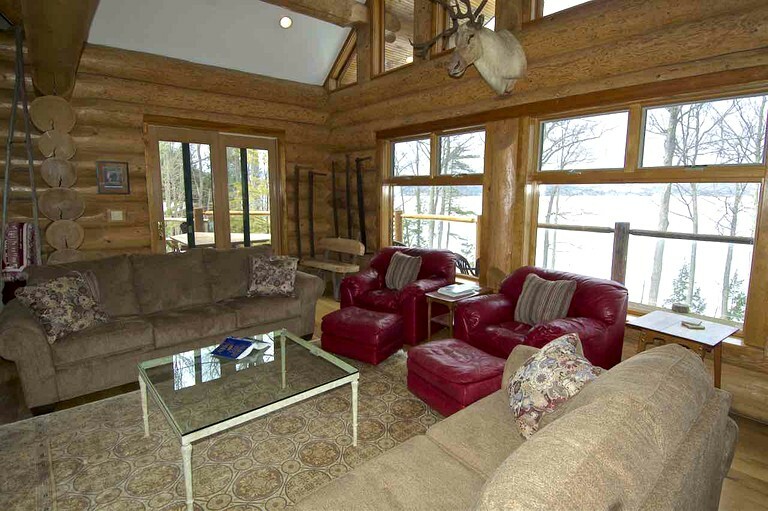 Leather chairs and comfy sofas provide superb space for friends to gather and chat about their day on the lake. With a completely open floor plan, the great room flows into the dining area where a very unusual, 12-foot long, solid slab Redwood dining table comfortably seats 12 dinner guests. 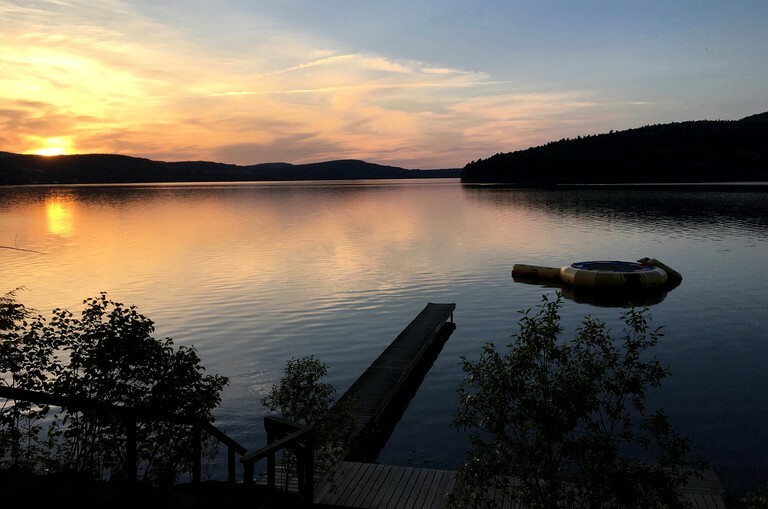 The lush property and, of course, Otsego Lake are viewed through a large picture window and another set of French sliders. The kitchen is fully stocked with all cooking utensils, flatware, mixers, blenders and coffee makers. 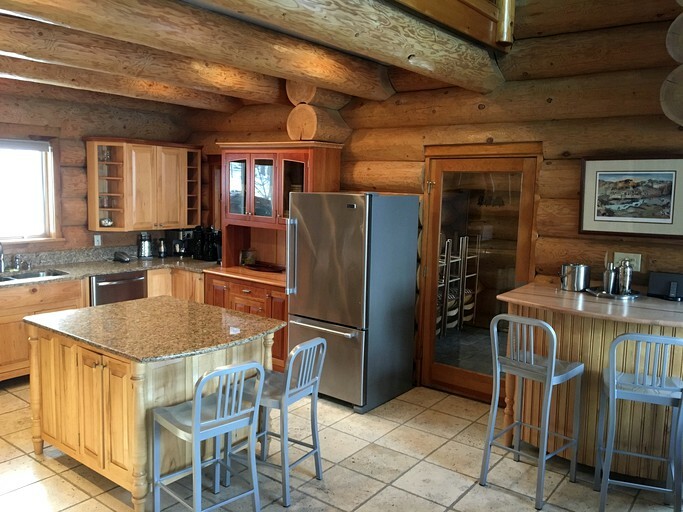 With a large island and long counters there is plenty of prep space for the chef and the solid maple breakfast bar is a favorite place for game playing of all kinds. 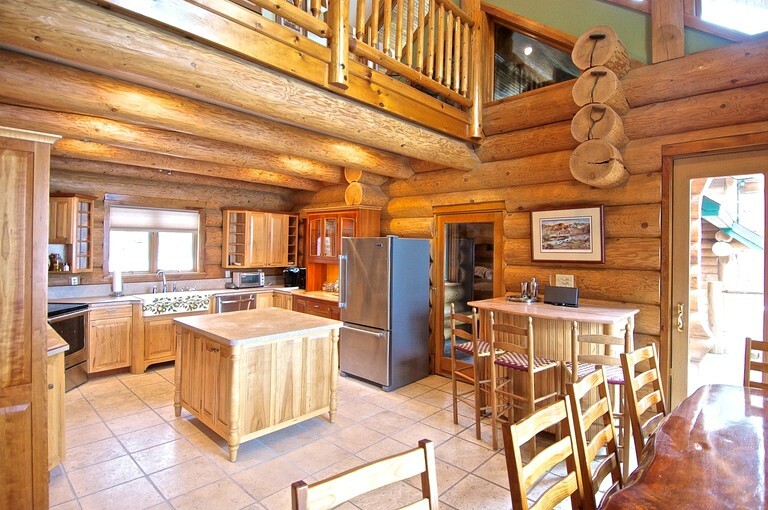 Vintage-style Heartland appliances and a double basin, hand-painted farm front sink continue the lodge theme. 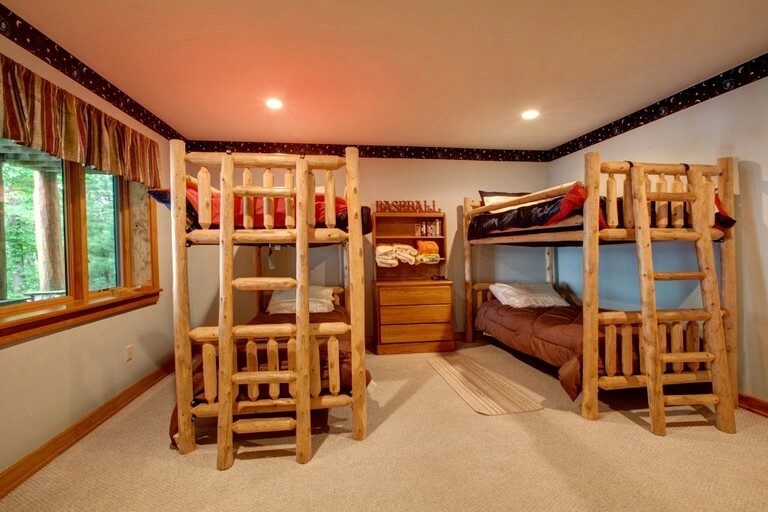 The main floor is also home to the master bedroom. The king-size bed affords views of the woods and the lake. 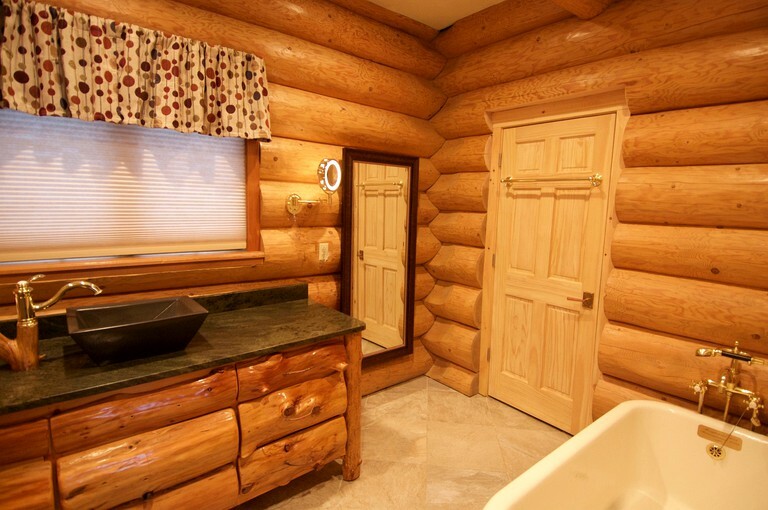 The master bathroom has a walk-in shower, a 113-year-old, refurbished claw-foot tub, and a custom Adirondack-style vanity. 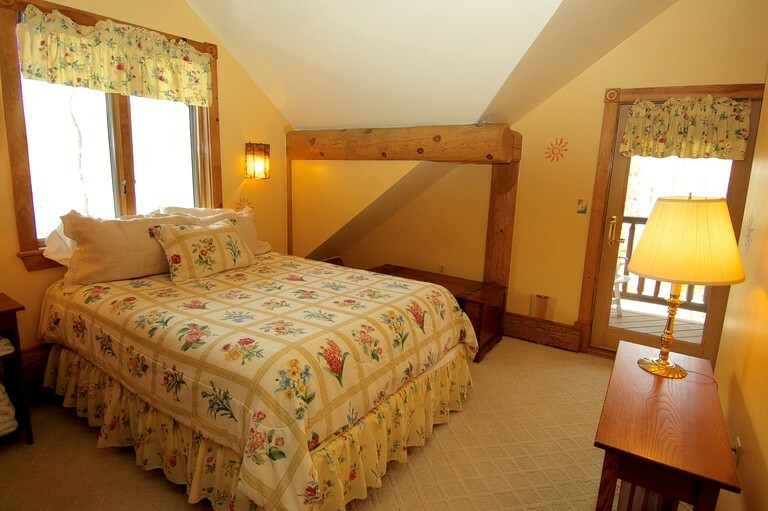 The bedroom also has private exterior access to the deck. 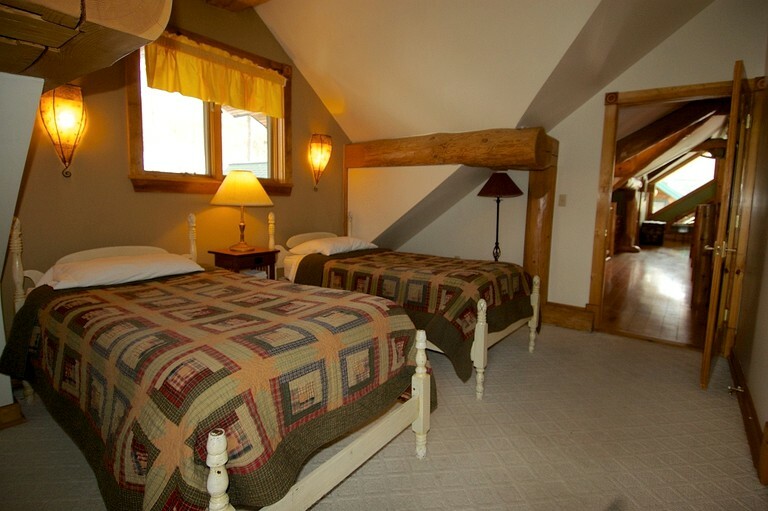 Up the log stairs is a queen-size bedroom and a bedroom with two twin beds. One bedroom faces the lake and the other has pretty views of the wooded surround, and both have doors to an exterior balcony that seems to be suspended in the trees. 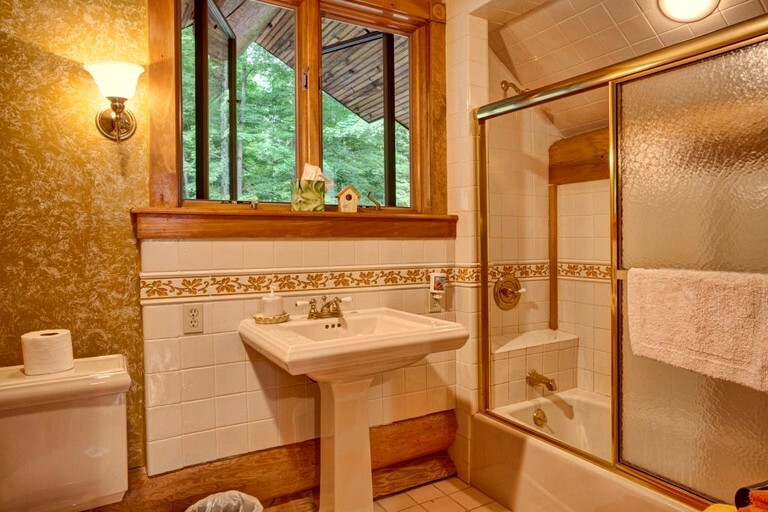 Down the hall and across the floating bridge is the full bathroom for the two bedrooms; it features a pedestal sink and a full-size tub and shower. 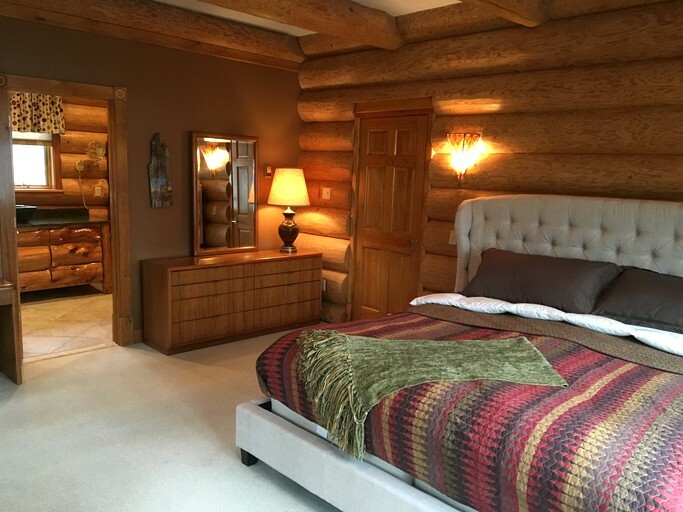 The lake level of has two large bedrooms; one showcases a handmade log and twig queen bed with expansive lake views while the second bedroom contains two sets of cedar log bunk beds, also with wide lake views. A well-detailed full bathroom serves this floor. 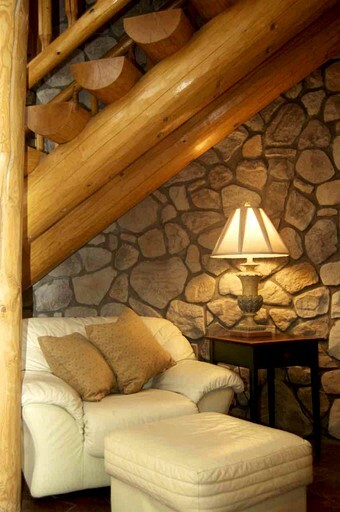 Guests here will have a television, cable TV, Wi-Fi, heating, and air conditioning. Parking is included. 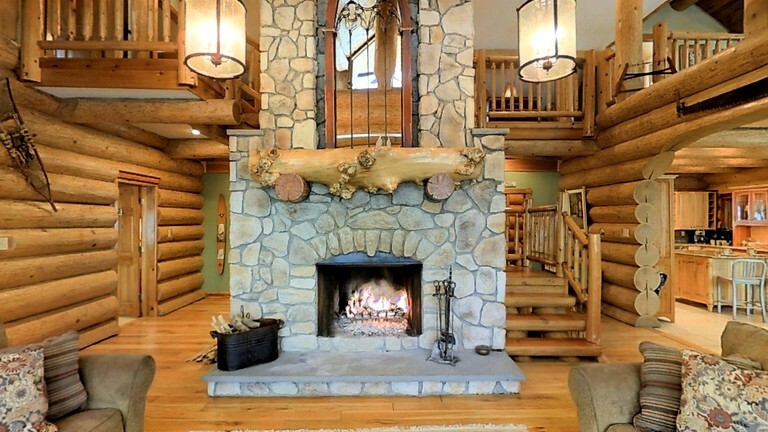 There is a washing machine and a dryer, and guests will also have an indoor and an outdoor fireplace. 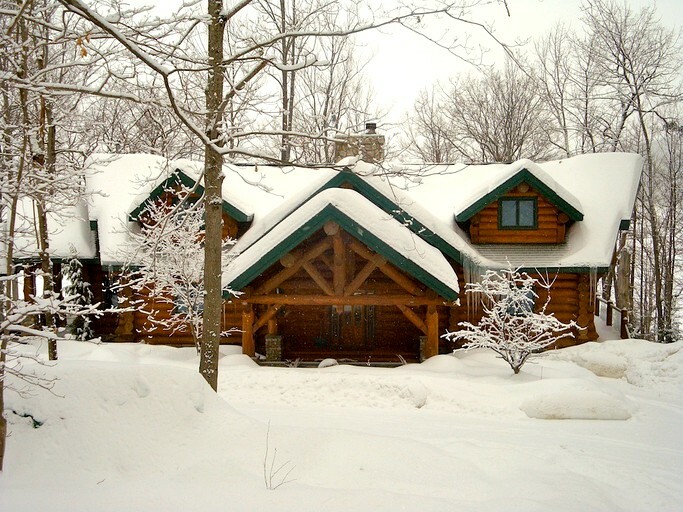 This property is situated seven miles north of the world-famous Cooperstown, New York, and set on the highly desirable east shore of Otsego Lake. 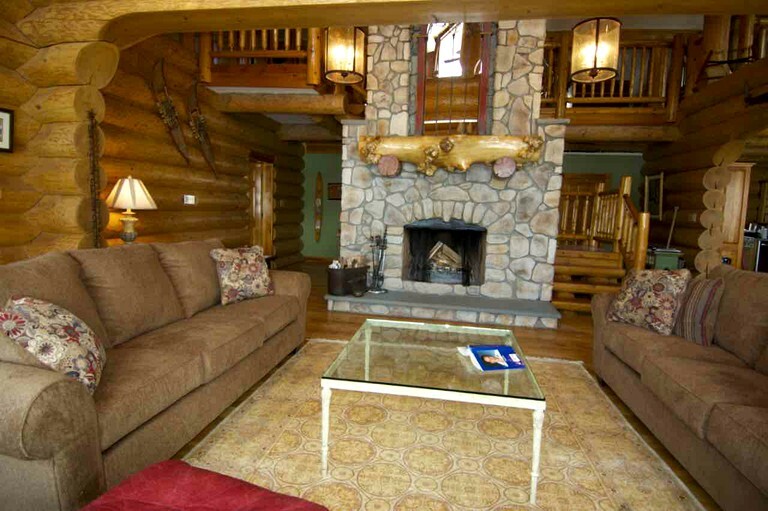 Elevated from the lake, virtually every room has stunning views of the placid waters. 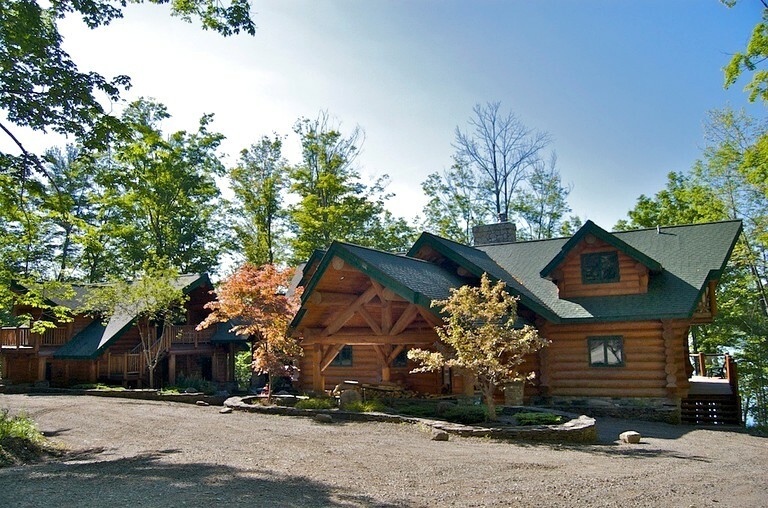 Guests will be just a few minutes from Glimmerglass State Park and a drive from Roseboom State Forest. 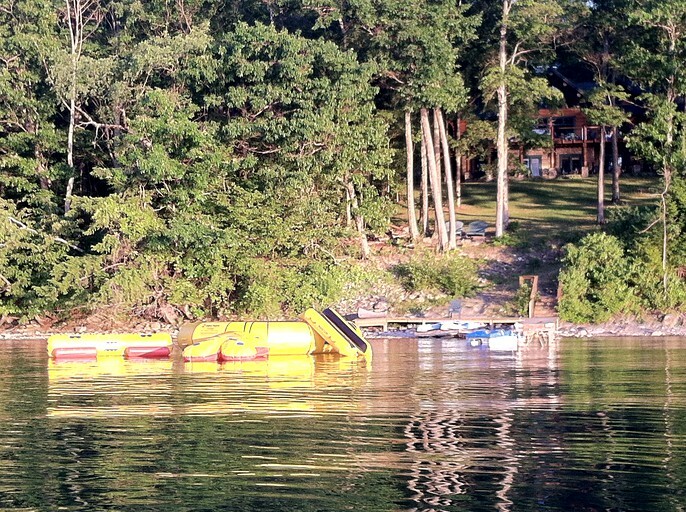 Whether guests' passion is fishing, canoeing, kayaking, sailing or boating, skiing or tubing, or just plain ol' relaxing, this property has any and all activities. Access to the 65-foot long, wrap-around deck is from a number of main floor doors, including from the kitchen area. Outside is a large, custom designed picnic table, which provides plenty of outdoor dining space, as well as another great place for cards and games. The elevated deck is protected by a railing system constructed of cedar logs and safety glass allowing for uninterrupted lake views. 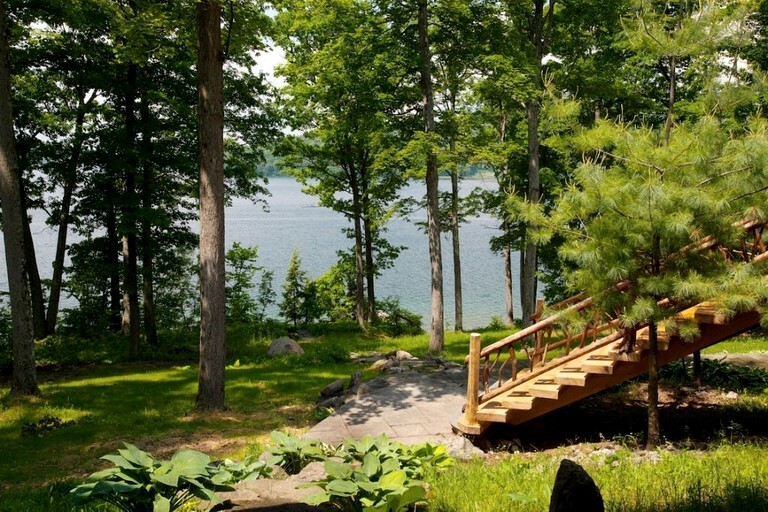 There is a custom, flared staircase from the deck leads guests to a bluestone walkway, which winds through the yard toward the lake. The path divides, one direction provides access to a lovely reading area; a hidden bluestone patio right at the edge of the lake. This is without a doubt the favorite place to be during the early evening as the sun sets. 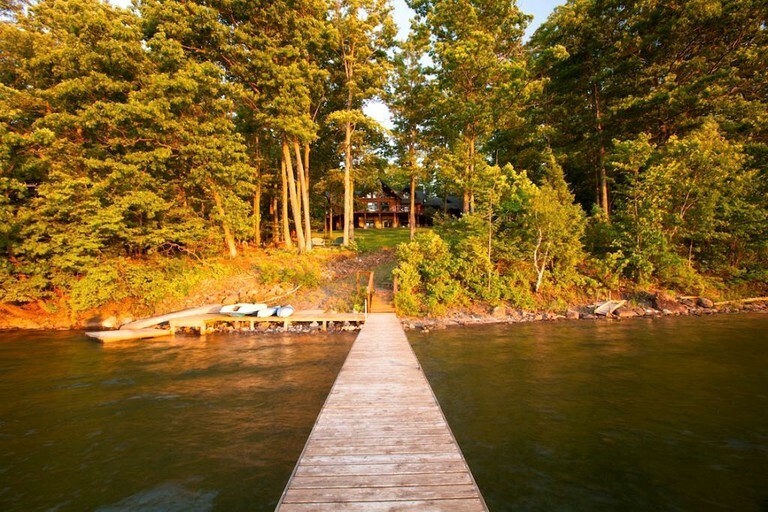 The other path leads to a beautiful and private waterfront and dock. 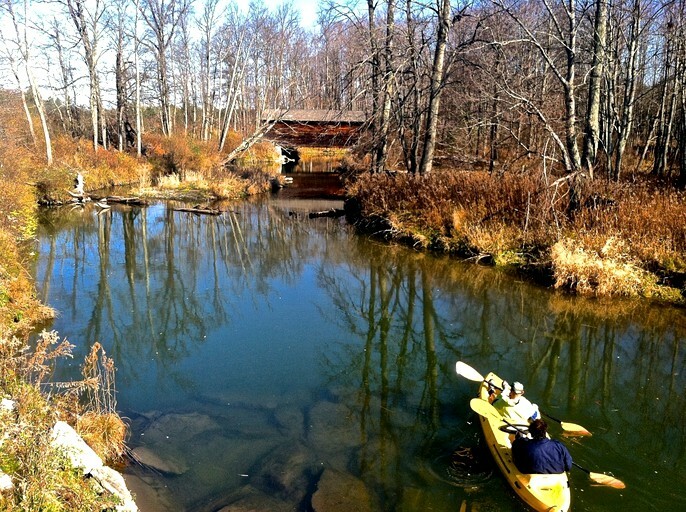 Kayaks and a canoe are ready for guests' use and just a short paddle away is the mouth of Shadowbrook, a small tributary that can be explored; paddle right under America's oldest covered bridge! 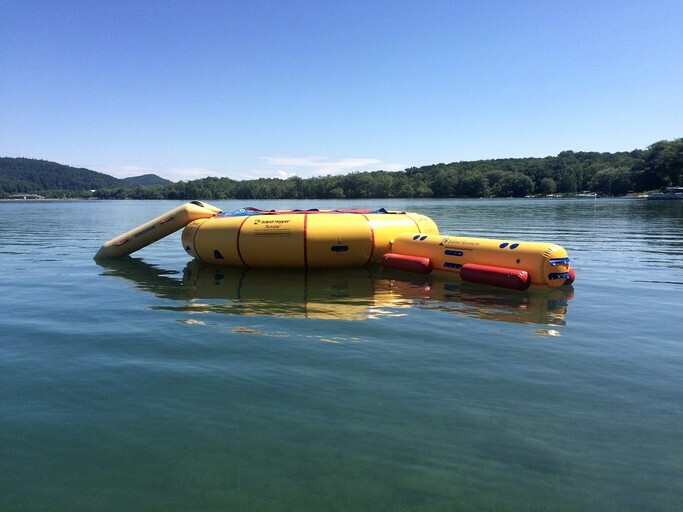 Guests can also take their craft to the beach of Glimmerglass State Park. 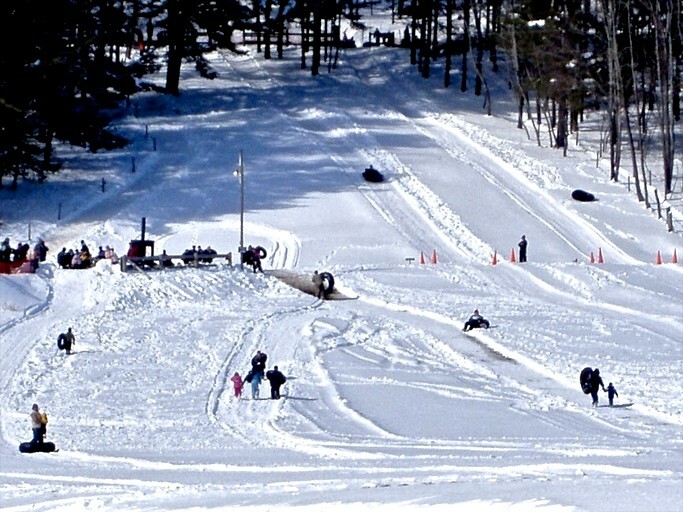 Families will be delighted, as they can play beach volleyball, hike miles of trails or take a swim. 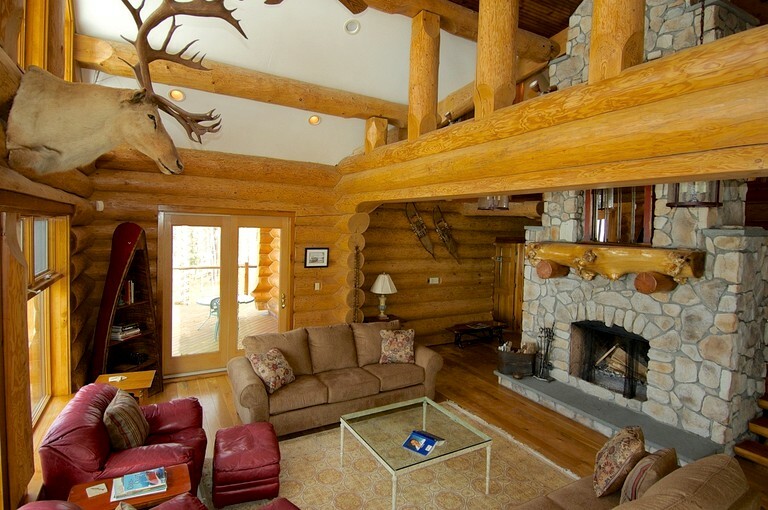 There is a maximum of 16 overnight guests and a maximum of four daytime-only guests. This host does not permit team parties, gatherings, nor team visits.